Japan executed six more members of the doomsday cult group Aum Shinrikyo on Thursday that perpetrated the deadly sarin gas attack on the Tokyo subway in 1995. 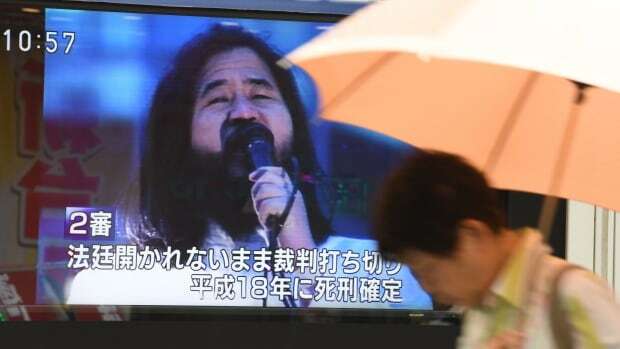 All 13 members of the cult that were on death row have now been executed, after Chizuo Matsumoto, the cult's former leader who went by the name Shoko Asahara, and six other members of the group were hanged on July 6. The attack killed 13 people and injured at least 5,800 people, some permanently, shattering the nation's myth of public safety. The Aum Shinrikyo, or Aum Supreme Truth cult, which mixed Buddhist and Hindu meditation with apocalyptic teachings, staged a series of crimes including simultaneous sarin gas attacks on subway trains during rush hour in March 1995. Sarin, a nerve gas, was originally developed by the Nazis. "It was unprecedented level of extreme and serious crimes which must not happen again and terrified not only people in Japan but also foreign countries and shook the society," Justice Minister Yoko Kamikawa told a news conference. "I ordered executions based on extreme careful consideration."